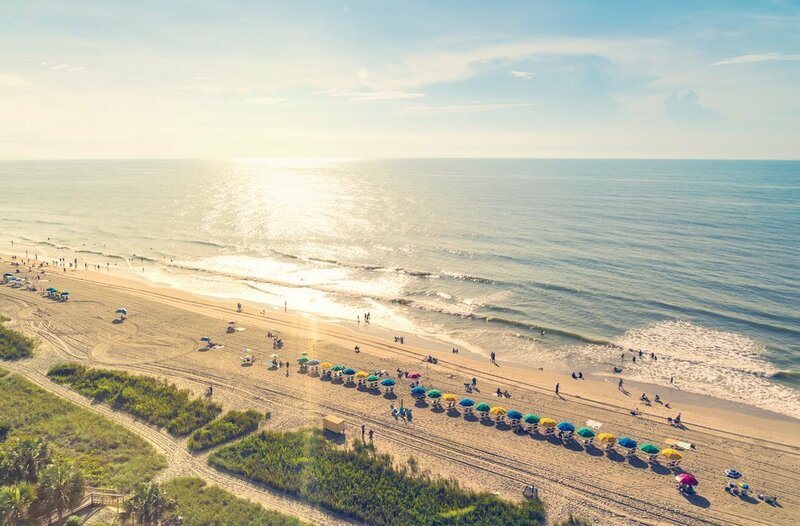 Start your day early by spending the morning on the beach. Days warm up quickly here so there’ll be plenty of rays to catch. Before you head down to the water, pack a cooler full of snacks, drinks, and sandwiches for a little beach picnic. 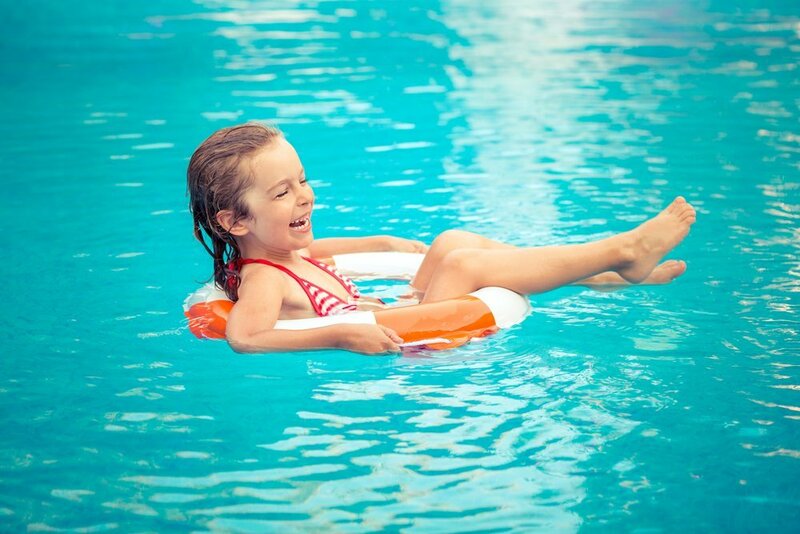 If the family isn’t quite done with the water yet, spend your afternoon at the Myrtle Waves Water Park. With 20 acres of park and over one million gallons of water, this is the place to stay cool in the summer heat. It’s guaranteed to keep the kids happy for hours! Looking for something different? Check out one of the top 10 miniature golf courses in the area. 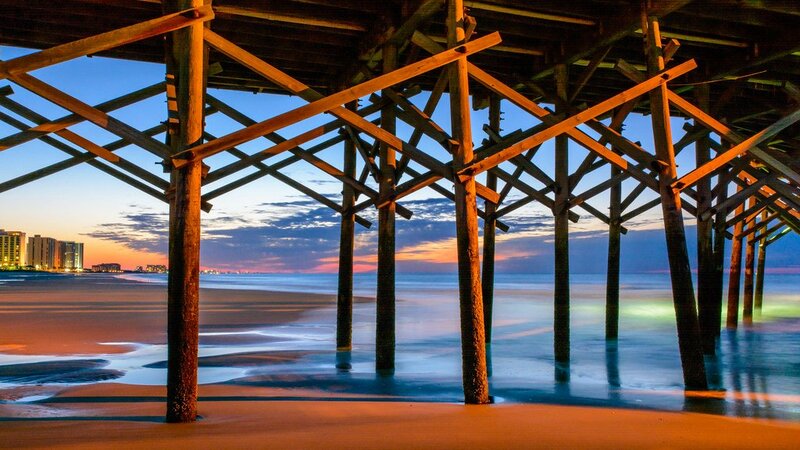 After all, Myrtle Beach has been called the Golf Capital of the World. Many of the courses are located at Broadway at the Beach. 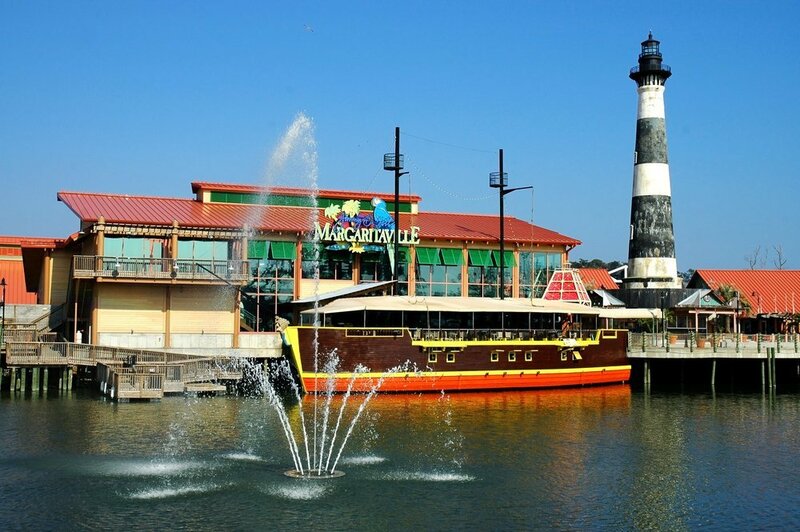 It’s a fun strip filled with activities for the whole family including arcade games, shopping, and more. While you’re there, be sure to check out Ripley’s Aquarium, which features a 750,000 gallon shark tank. One of the best things about Broadway at the Beach? Jimmy Buffett’s Margaritaville Myrtle Beach is there. Stop by for dinner—we offer traditional American food and island-themed drinks in a family-friendly atmosphere. Plus, there’s always fun music and new specials going on. We recommend the volcano nachos, served with a classic margarita or a chilled Landshark Lager (for the adults, of course). The kids can chow down on the one and only jr. cheeseburger in paradise. 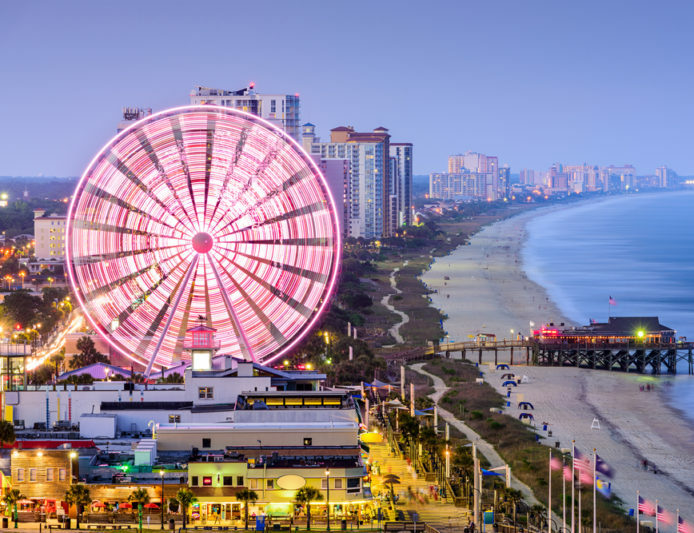 Once you’ve put the kids to bed, there’s plenty of night life to be enjoyed in Myrtle Beach, ranging from comedy clubs to cozy pubs and karaoke. With live music galore and plenty of wine bars around, treat yourself to a date night.